Sometimes when a person sees a 3 corner bowl like this one they are amazed with it. It captivates their mind on how it was made. Not being one to give away my secrets I just tell them it takes a bit of time to do one, and it does. 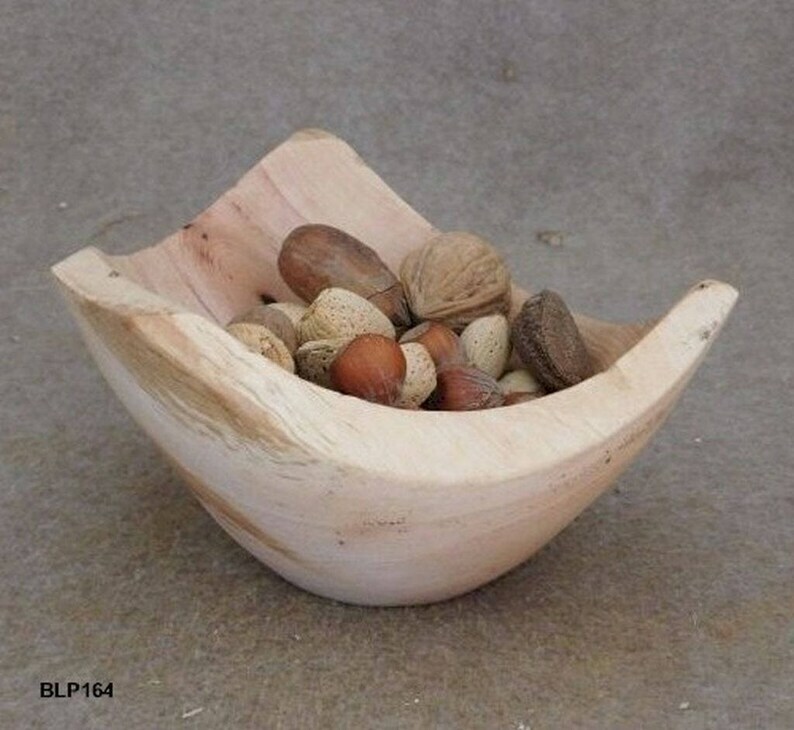 This particular fine looking bowl was turned from pecan which is gorgeous in its own right. So fill it with your favorite candies, nuts, small fruits and other goodies. Some might use it as a potpourri bowl as well. Many, many uses. The bowl averages 6” in total diameter, 4” in height and has a measured depth of 2” up to the level of where water will run out of it. The volume is 1 cup. The wood was sealed with food grade walnut oil and then finished with a walnut oil based wax. Enjoy! 18Sep17 BLP164 Free Shipping Within Continental United States.